Even if your comic book universe can boast that it has the biggest, strongest, and most recognizable super-heroes of all time, behind those familiar iconic faces are a wealth of other characters that also deserve their time in the spotlight. This week’s unsung hero is the “third smartest man” in the DC Universe, Michael Holt AKA Mister Terrific! You know that one kid in school who was really successful at everything? Perfect grades, excellent at sports, and is the best at pretty much everything they tried? Ok, now imagine that kid grew up and became even more amazing. Got it? Okay, you pretty much just pictured Mister Terrific. Super genius (with 14 PhD’s), Olympic gold medalist, fluent in multiple languages, and a superhero extraordinaire by trade. Naturally. Using his gift with machines and his tremendous intellect, Michael Holt made millions of dollars selling his start-up company to Wayne Enterprises. However, after a tragic car accident took the lives of his beloved wife and unborn child, Michael felt he had nothing left to live for and contemplated suicide. 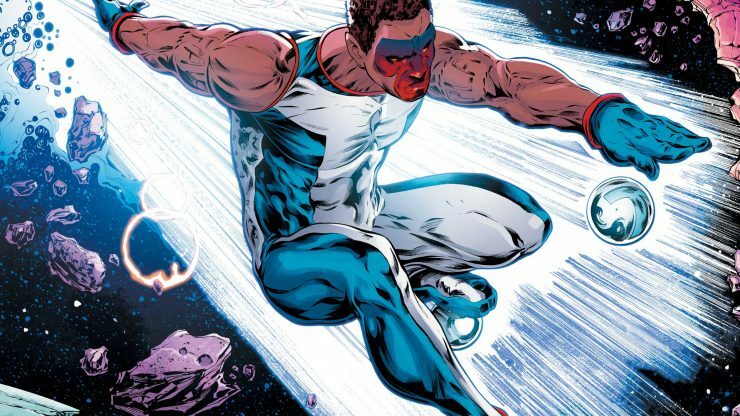 He was saved by the intervention of The Spectre who told him the story of the Golden Age hero, Terry Sloane, AKA the original Mister Terrific. Sloane, himself a genius and Olympic-level athlete, had disliked that he was born with so many advantages while others had none. He wanted the world to treat people equally and was dissatisfied with the fact that, more often than not, this didn’t seem to be the case. So he decided that if the world wasn’t fair, he would make it fair. Inspired by the spirit’s tale, Michael adopted the legacy and moniker of the past hero, as well as Sloane’s motto of “Fair Play.” Putting his gifts to good use, Michael joined the Justice Society of America (JSA) and eventually became the chairman/leader of the super group. He also was tapped to become part of the covert espionage agency Checkmate, and eventually would help lead the group as the White King. 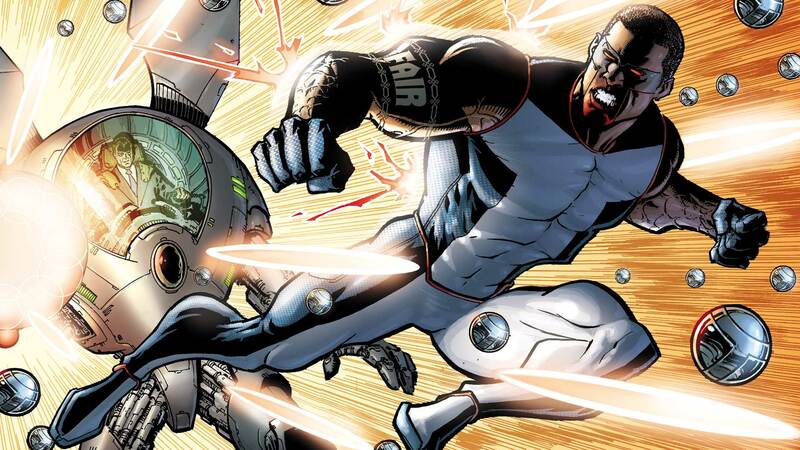 Mister Terrific only has two real super powers. The first is that he is completely undetectable by technology, making him effectively invisible to any form of electronic scanning or surveillance. This is due to the complex nano-machines that make up his mask and costume. The second power is learning, or his “natural aptitude for having natural aptitudes,” as he describes it. He can learn and retain new information and master skills faster than most people. He can even accurately assist with complex medical procedures after only reading a textbook. And then, of course, there is his tech. With the aforementioned nano-machines, his mask is capable of long-distance mental communication with his T-Spheres. What are T-Spheres? Only the coolest and most useful flying metal balls you’ll ever see. They can project holograms, hack into computer systems, and are strong enough to hold up Mister Terrific, giving him the ability of flight. They are also useful weapons, capable of shooting electricity or acting as fast-moving blunt flying objects, as well as detonating with tremendous explosive force if need be. On top of all that, Holt is an expert hand-to-hand fighter (with six different black belts in martial arts), speaks several languages, and is an intelligent and strategic leader. Mister Terrific is commonly known as the “third smartest man in the world.” Who holds the number one and number two spots is debatable. Any ideas? You can find Michael Holt’s ongoing adventures in The Terrifics, currently being released monthly by DC Comics. And until the much-rumored new Justice Society comic is officially announced, you can always dig up his old trade paperback JSA adventures (1999 – 2006). You’d be hard pressed to find a more enjoyable or immersive series of stories. Also, the second Checkmate series (2007 – 2008) is an amazing read. 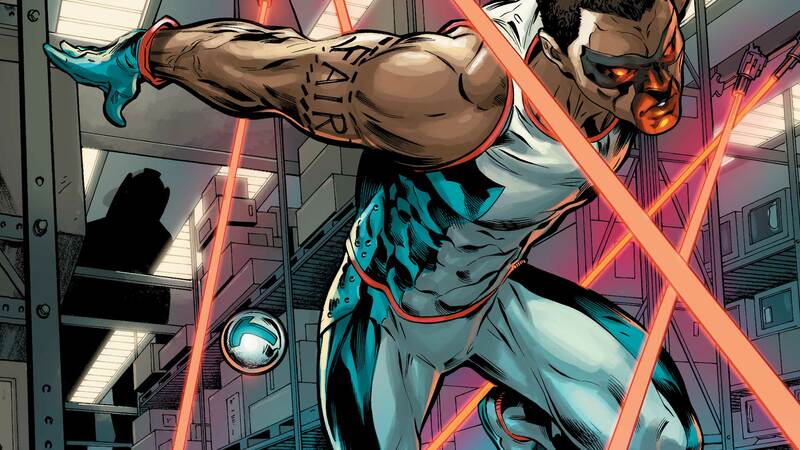 Meanwhile, you can also watch the adventures of “Curtis Holt” as part of the DC television universe in Arrow on the CW or catch him in a few episodes of Justice League Action on Cartoon Network. Or, when you are feeling particularly nostalgic, you can always break out those old glorious Justice League Unlimited DVDs. Do you have an unsung hero or villain you’d like to see profiled? Leave a comment below with a lesser-known character you love, and you might just see them pop up in a future article!